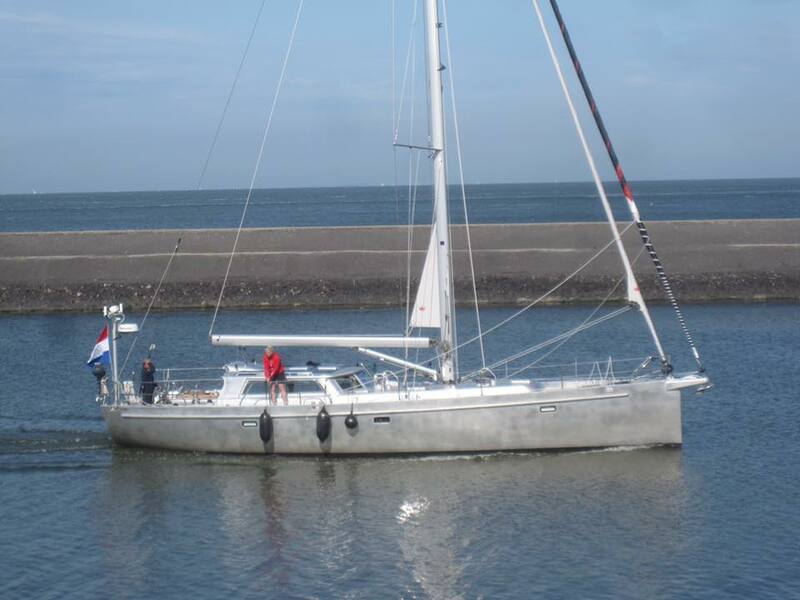 The boatyard Alubouw in Franeker has finished the second aluminium casco of the Orion 49. The hull, keel and sailplan are the same as the first Orion 49 / Cruiser (design 169). The deck, cabin, deckhouse, cockpit, transom and interior are different form the 1st Orion 49. A long time we didn’t post any news on the website. And there was so much news, that we didn’t have time to make some articles. In the first months of 2016 we finished the designs of the two orion’s, which are built in Franeker. 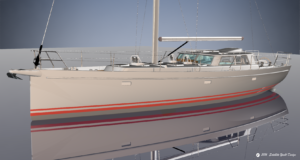 We also started the design of a 19 meter aluminium sailing yacht and also finished the design of a 6.20 m composite daysailer for the Chineese lakes. At least we have to design a composite 36ft and 38ft sailing yacht for a dutch client. Project 169-Orion49 / The first aluminium casco is almost fininshed. At the moment the daggerboard and rudders are placed and the yard is finishing the last details in the hull and deck. Project 170-DF20 / In China are the moulds for a 20ft daysailer almost finished. This summer the prototype will be launched. Project 173-Orion 49 / The hull of the second Orion will be built at the moment. The differences between the Orion’s are the transom, cockpit, deck, deckhouse and interior. Hull, keel, rudders and rigging are the same for the two boats. 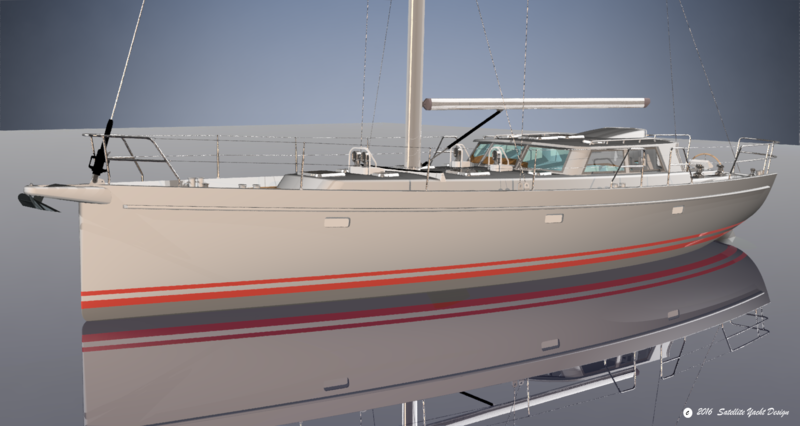 Project 172-RS1900 / We’re designing a 19.00m aluminium sailing yacht for a dutch client. The client delivered the sketches of the exterior in a 2d Rhino-file and designed the interior in 3d himself. We designed and calculated the exterior, construction, keel, rudder and rigging. Project 175 and 176 / At the moment we’re making the first sketches for the 36ft and 38ft composite daysailers. New orders for SYD. This month we got two new orders. One 28ft cruiser⁄racer built in composite and a robust aluminium 50ft yacht.